Sears is fading. Fast. The 124-year-old retailer — the place where all America once shopped — is tumbling into a shopping horror. At some Sears stores, recent news accounts report, ceilings are collapsing, rats are racing, and toilets aren’t working “for weeks on end.” Job cutbacks and a decade of under-investment have left store shelves bare — and customers on their own. “You could fire a cannon in any direction and not hit one salesperson,” Michael Looney, a former Sears employee in California, recently told Business Insider. Meanwhile, the hedge-fund billionaire who’s been running Sears the last dozen years is keeping up a brave front. Eddie Lampert is sticking to his story that Sears is wondrously transforming itself into a “member”-oriented retailer for the online age. But business analysts have been ridiculing these claims ever since Lampert started making them. They see the Ayn Rand acolyte as an ideologue who’s left Sears “ravaged by infighting.” In 2014, one business media survey found that Lampert had more negative ratings from employees than any other major top exec in America. By standard bottom-line yardsticks, Lampert’s reign at Sears has been one of the biggest disasters in modern business history. Between 2011 and 2016, the giant retailer’s revenues plummeted by almost half. The company lost $8.2 billion over that span. Over the last decade, meanwhile, Sears stock price has sunk from nearly $200 per share to under $10. Lampert’s colossal failure at Sears, some observers believe, simply reflects a broader trend, the epochal economic shift from bricks-and-mortar to online retail. Few major enterprises built for success in one business epoch, the argument goes, have ever been able to prosper in another. But Sears as an enterprise has, ironically, already pulled off an epochal transformation. That epochal shift came in the middle of the 20th century under Robert E. Wood, the West Point-trained, former Army general who led Sears from just before the Great Depression into the 1950s. Wood understood early on that the automobile had changed the retail landscape. Before the auto age, average Americans had shopped by mail-order catalog, a retail category Sears dominated. With cars a mass phenomenon, Wood realized, shoppers could now drive to shop. The future belonged to general merchandise department stores, and Sears, under Wood, would open up hundreds of them. 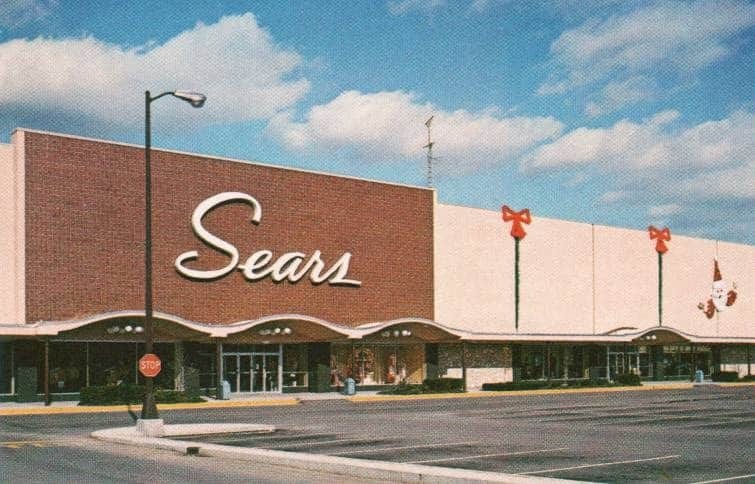 By Wood’s 1954 retirement, Sears towered over American retail. Why did Wood succeed where Lampert fails? Sheer genius on Wood’s part? Hardly. The more important factor: Wood understood a basic element of enterprise effectiveness. Successful enterprises share, he believed, both credit and rewards. Wood didn’t prance about Sears as a self-styled savior. Nor did he tolerate pomposity from anyone else in Sears management. During Wood’s tenure, editors at the Sears employee newspaper regularly ran articles that irreverently teased top Sears execs. The Sears profit-sharing plan bolstered that reputation. The plan applied to Sears workers who stuck with the company more than a year. Those who worked 15 years would see the company put into the “Savings and Profit Sharing Pension Fund of Sears, Roebuck and Co.” a sum that equaled five times the employee contribution. These dollars would be invested in various assets, mostly Sears stock, and the assets would pay dividends than went to profit-sharing participants. Veteran employees would routinely receive more from profit-sharing payouts than their wages. Janitors making $40 a week could waltz into retirement with $2,500 in savings. During Wood’s tenure, current and retired Sears employees would end up holding a third of the company’s shares, the highest employee-share percentage anywhere in Corporate America. What explains Wood’s readiness to share? Did he grow up in abject poverty? Did he come from a family of progressive political activists? None of the above. Wood had a conventional, conservative business political outlook. By 1938, he had emerged as a strong critic of Franklin Roosevelt’s New Deal. After World War II, he moved into America’s right-wing fringes. So why did this right-winger share the wealth at Sears? He had little choice. Robert E. Wood operated in an America where two major institutions — the tax system and the labor market — were combining to make a sharing of sorts the national default. The federal income tax throughout the mid-century Sears golden years subjected individual income over $200,000 to a tax rate that hovered around 90 percent. That left top executives like Wood with little incentive to feather their own nests. Why bother? They had little personally to gain from squeezing workers or cooking corporate books. Trade unions, meanwhile, dominated the labor market. In major metro areas outside the South, most private-sector workers carried union cards. But not at Sears. Unions in the mid-century United States represented less than 8 percent of the Sears domestic workforce. Sears would be an outlier in the nonunion private sector. Few nonunion concerns worked as hard as Sears to provide economic security to their employees. But most all major nonunion companies — outside the South — made some effort to ratchet up worker pay and benefits. With unions representing such a significant share of the workforce, nonunion concerns had to try to approximate union-level wages and fringes or go without workers. The result? The bottom 90 percent of American families would see their incomes soar in the post-war years, from a $10,513 average — in current dollars — in 1940 to $20,036 in 1950 to $26,665 in 1960. Sears chief Eddie Lampert, by contrast, is operating today in an entirely different economic environment. In huge swatches of the private sector, unions have no presence at all. Lampert has been able to shortchange workers left and right and not worry about any consequences. And the tax system? The top federal tax rate on income has, over the past three decades, bounced around between 28 and 39.6 percent, less than half the top rate that Wood faced. In other words, power suits like Lampert can keep, after taxes, the vast bulk of whatever income they can grab. That gives them a powerful incentive to grab, by any means necessary, as much as they can. Lampert has been free, in effect, to run Sears into the ground — and enrich himself in the process. The most arrogant instance of this enriching? Two years ago, with Sears already on the ropes, Lampert and the hedge fund he also runs created a real-estate investment trust, then engineered a deal that had Sears sell to the trust over 200 of its best brick-and-mortar stores. Lampert’s real-estate trust then rented space in the stores back to Sears, retaining the right to rent to other retailers as well. The deal guaranteed Lampert’s trust $135 million in rent money the first year and 2 percent annual hikes starting in the second. Sears does get to cut the lease short on stores that prove “unprofitable,” but only if the Lampert-run retailer pays the Lampert-run trust an extra year’s rent and a year’s worth of operating expenses. This maneuvering understandably outraged a good many Sears shareholders. They subsequently filed a lawsuit charging that Lampert was stripping Sears of its most valuable assets for his own personal gain. The Lampert-friendly Sears board of directors vigorously denied that charge, then, this past February, agreed to pay out $40 million to settle the shareholder lawsuit. Various other shifty moves have left Lampert well-positioned to survive any Sears bankruptcy and continue his lush luxury life. Should Sears go under, Lampert figures to be able to spend more time at his $40-million waterfront getaway on South Florida’s ultra-exclusive Indian Creek Island, a 32-home enclave that has its own mayor and full-time police force. Eddie Lampert, living large at the expense of hard-working men and women of modest means, may just personify almost everything wrong with the modern American economy. He seems like just the kind of “swamp” creature Donald Trump once railed against. But Eddie Lampert isn’t worrying about anybody draining his particular chunk of swampland, and he has some excellent reasons to feel confident. Here’s one: Trump Treasury Secretary Steve Mnuchin didn’t just room with Lampert at Yale and didn’t just get his wheeling and dealing start in life, like Lampert, as a mover and shaker at Goldman Sachs. Mnuchin, before stepping down this past December to join the Trump cabinet, had spent the last 12 years sitting on the Sears board of directors.